Heavy rain brought more flooding to areas of Oregon on Wednesday. 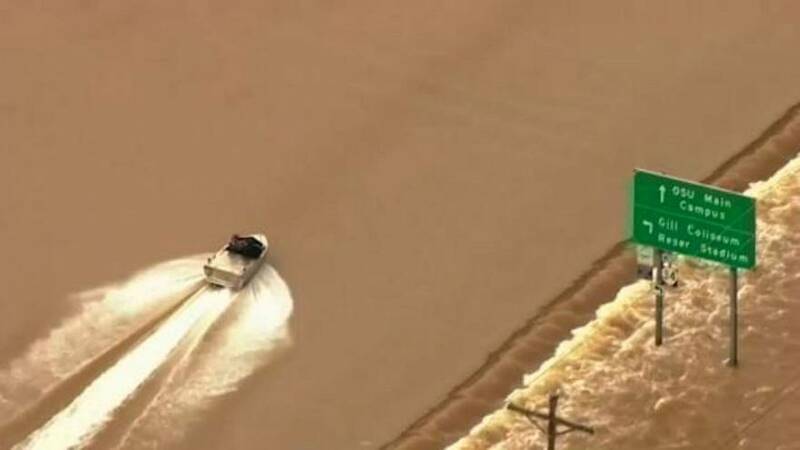 Aerial video from TV station KATU in Portland shows a boat speeding over a flooded highway in Corvallis. Local media report that the flooding closed a portion of Oregon Highway 34 in that area. About 500 people were evacuated from their homes in that area on Tuesday.